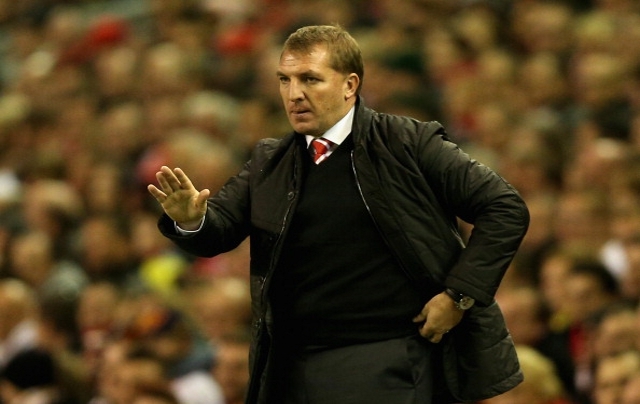 Brendan Rodgers will not have full control over transfer policy. Liverpool managing director Ian Ayre has revealed that Anfield boss Brendan Rodgers will not have the final say on the club’s transfer policy according to The Telegraph. Rodgers will reportedly have to accept a place on a committee which will decide transfer policy as a group. It is not clear how Rodgers has reacted to the news that he will not be given the traditional managerial authority to decide who comes in and goes out of the club. Since Rodgers arrived at the club from Swansea last summer, he has been joined at Anfield by Dave Fallows as head of recruitment and former Manchester City scout Barry Hunter. The club’s head of analysis, Michael Edwards, has also become a key figure in deciding which players the club buys. Ayre has revealed that between them, they have created their own unique model for the club. ‘We have a head of analysis, a head of recruitment, a first-team manager, myself,’ said Ayre. ‘All of those people are all inputting into a process that delivers what a director of football would deliver. ‘What we believe, and we continue to follow, is you need many people involved in the process. ‘That doesn’t mean somebody else is picking the team for Brendan but Brendan needs to set out with his team of people which positions we want to fill and what the key targets would be for that. ‘He has a team of people that go out and do an inordinate amount of analysis work to establish who are the best players in that position. ‘Despite what people think and read, it’s not a whole bunch of guys sitting behind a computer working out who we should buy. It’s a combination of old-school scouting and watching players – and that’s Brendan, his assistants, our scouts – with statistical analysis of players across Europe and the rest of the world. ‘By bringing those two processes together you get a much more educated view of who you should and shouldn’t be buying and, perhaps as fundamentally, how much you should be paying and the structure to those contracts. Last summer, Rodgers made it clear that he would not be happy working within a director of football structure but it appears he is being increasingly forced to give up his authority regarding new arrivals at the club. That may merely add to the manager’s frustration after he was informed by club officials that he would have just £20 million to spend on new players this summer. Rodgers had previously stated that he was hoping for at least ‘three or four’ new arrivals at Anfield in the coming months. Eleven Average Footballers With Unbelievably Hot WAGs, Including Clumsy Man United Defender, Flappy Liverpool Keeper And Most Of Aston Villa!